Fuss free entrance with klook voucher purchase. Forbidden city is a must go attraction when in Beijing, worth visiting 2 days to cover the whole palace. 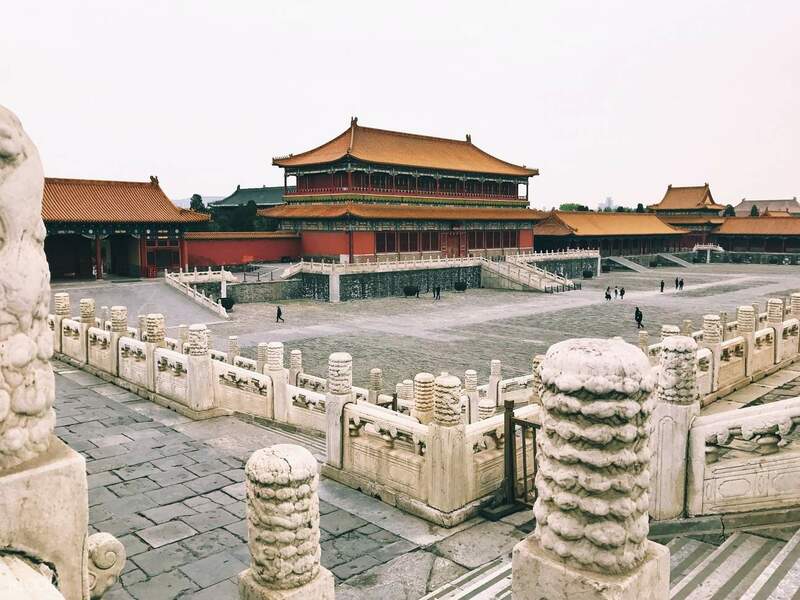 The Forbidden City is an awe-inspiring building that has fascinated people from all over the world for centuries, drawing millions of tourists to its doors every year. It has come to the point that they have had to limit visitors to 80,000 per day! This incredible structure is one of the world's only fully-preserved royal residences and dates all the way back to ancient Chinese history in 1420. 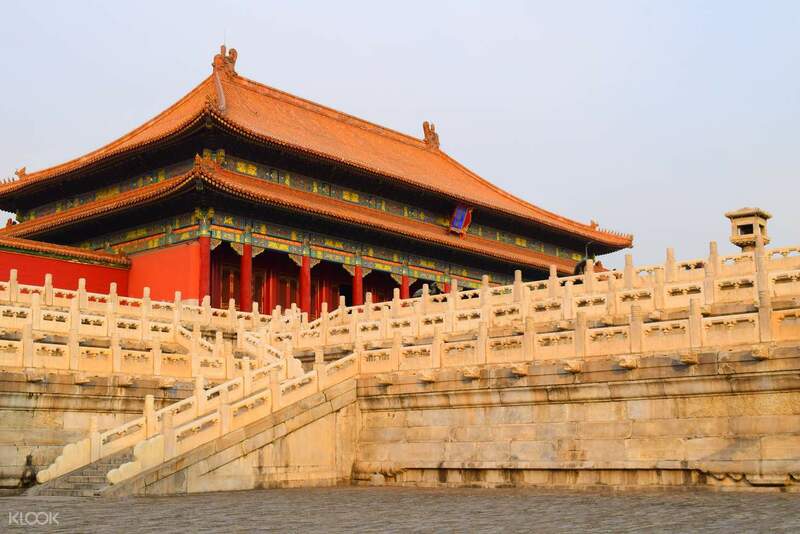 With your ticket, you will get advanced reservation to visit the Beijing Palace Museum housed inside the Forbidden City and discover the rich and varied history of this breathtaking palace. A number of exhibitions take place within its halls, presenting a huge array of priceless collections of ancient Chinese artifacts. From the evolution of ceramic artifacts to cultural studies and exhibitions, from foreign artifacts to digital presentations, there are numerous sights to see and learn about within the museum. Travelers looking to learn more about Chinese culture and discover its history in a more comprehensive way shouldn't miss a visit into the palace museum - and allow yourself as much time as possible to explore! 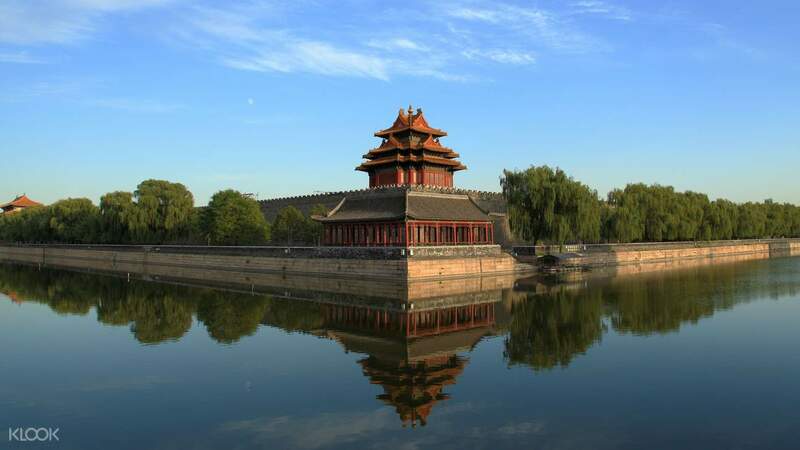 Book a Beijing private tour to see more classic attractions, and don't miss out on the Quanjude duck tasting! Excellent tour! It was their holiday and peak season, full of Human! Remember to buy ur ticket ONLINE before going, otherwise u got no way to buy on the spot. The clock and jewelry museum worth to have a walk. Excellent tour! It was their holiday and peak season, full of Human! Remember to buy ur ticket ONLINE before going, otherwise u got no way to buy on the spot. The clock and jewelry museum worth to have a walk. I'm so glad to have pre purchase the ticket via Klook and skip the queue for buying the tickets. Just proceed to the entry point with my passport and the system already indicated I have pre purchased my entrance tickets. 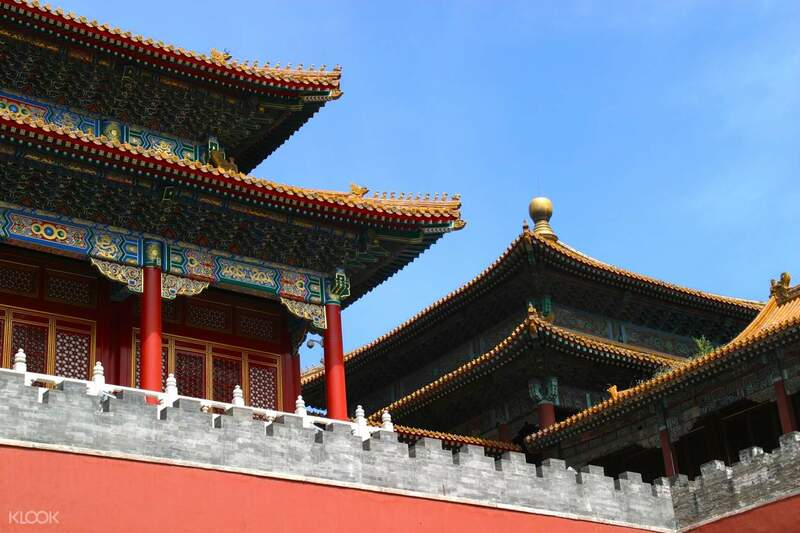 Highly recommended for visitors to Beijing and visiting the Forbidden City is a site you cannot miss. I'm so glad to have pre purchase the ticket via Klook and skip the queue for buying the tickets. Just proceed to the entry point with my passport and the system already indicated I have pre purchased my entrance tickets. 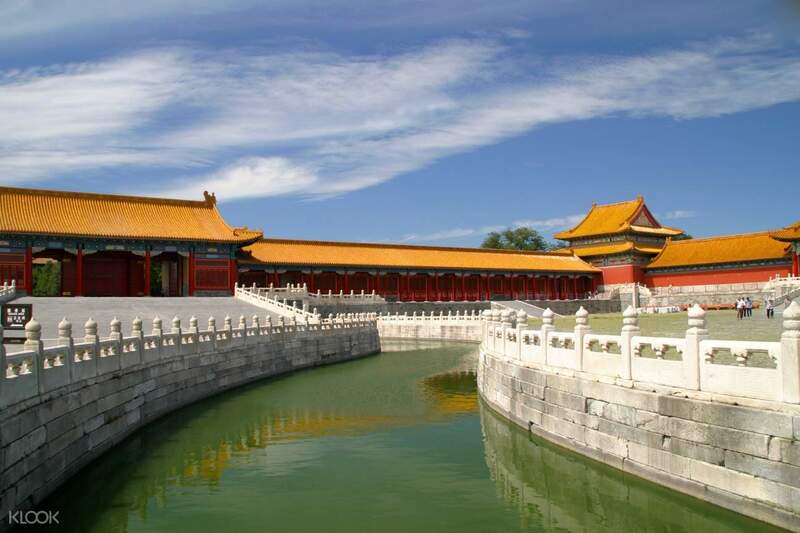 Highly recommended for visitors to Beijing and visiting the Forbidden City is a site you cannot miss. Such a vast place. I walked 16000 in total that day! The entry was pretty much seamless. Although in the booking I made, I couldn't add children (they're free anyway) so their passports weren't on the system but they let us through anyway. We also went to the clock museum which was interesting. It was very busy at the Forbidden City and I would definitely recommend getting there as soon as it opens. Such a vast place. I walked 16000 in total that day! The entry was pretty much seamless. Although in the booking I made, I couldn't add children (they're free anyway) so their passports weren't on the system but they let us through anyway. We also went to the clock museum which was interesting. It was very busy at the Forbidden City and I would definitely recommend getting there as soon as it opens. this ticket is very useful for me, so I don't need to have queuing, just show the barcode and I could enter the forbidden City without any problem. if u want to travel to forbidden City without any worry, just book this ticket via klook. highly recommended. this ticket is very useful for me, so I don't need to have queuing, just show the barcode and I could enter the forbidden City without any problem. if u want to travel to forbidden City without any worry, just book this ticket via klook. highly recommended. Gaining entry with our voucher was fast and easy. We showed had to show our passports, visas, and vouchers in order to gain entry but it all took less than 2 minutes. You can rent an audio guide by the front gate for more information on the exhibits. The Forbidden City also known as the Museum Palace itself was great. The architecture and history were very interesting. Overall, great trip. We manage to see blossom flowers in the palace. it was awesome and beautiful. Gaining entry with our voucher was fast and easy. We showed had to show our passports, visas, and vouchers in order to gain entry but it all took less than 2 minutes. You can rent an audio guide by the front gate for more information on the exhibits. The Forbidden City also known as the Museum Palace itself was great. The architecture and history were very interesting. Overall, great trip. We manage to see blossom flowers in the palace. it was awesome and beautiful. The Forbidden City is huge and definitely worth to visit. It is very hard to imagine the emperors worked and lived in such a big place which I almost got lost inside. Lots of photos points but lots of tourists at the same time. The Forbidden City is huge and definitely worth to visit. It is very hard to imagine the emperors worked and lived in such a big place which I almost got lost inside. Lots of photos points but lots of tourists at the same time. Very easy and convenience to use. Just head to the museum entrance and let them scan the passport to enter the Palace Museum. The museum is very large and there are a lot to see. You can also rent a audio tour guide for 40RMB, I spend almost 3 hours in the museum. Very easy and convenience to use. Just head to the museum entrance and let them scan the passport to enter the Palace Museum. The museum is very large and there are a lot to see. You can also rent a audio tour guide for 40RMB, I spend almost 3 hours in the museum. It really helped us a lot. There’s a long line in the ticketing office and I am glad we bought this ahead of time so we just went straight to the entrance and show our voucher. It was really hard because people cannot speak English that much so we don’t know what we’re going to do but we just followed the crowd and everything went well. We saw the majestic Forbidden City and it’s such a stunner. Despite the cold weather, we were still able to enjoy it! It really helped us a lot. There’s a long line in the ticketing office and I am glad we bought this ahead of time so we just went straight to the entrance and show our voucher. It was really hard because people cannot speak English that much so we don’t know what we’re going to do but we just followed the crowd and everything went well. We saw the majestic Forbidden City and it’s such a stunner. Despite the cold weather, we were still able to enjoy it! I would highly recommend this service as it is hassle free and you will be assured the entrance for the day as I heard that there’s quota for number of visitors for the day. All you need to do is bring your passport to the entrance. Once they input your passport number it will show up on their system that you are legit ticket holder for the day. It saves my time as I didn’t need to queue up twice for the ticket purchase and entrance. I would highly recommend this service as it is hassle free and you will be assured the entrance for the day as I heard that there’s quota for number of visitors for the day. All you need to do is bring your passport to the entrance. Once they input your passport number it will show up on their system that you are legit ticket holder for the day. It saves my time as I didn’t need to queue up twice for the ticket purchase and entrance. Easiest way to get tickets to visit the Forbidden City / Palace Museum. Just select the intended date of visit and ensure to insert correct passport number during online purchase on Klook. On day of visit, just show passport to the staff at ticketing counter and you'll be able to enter once verified. Save the hassle to queue with crowd to buy tickets. Highly recommended! Easiest way to get tickets to visit the Forbidden City / Palace Museum. Just select the intended date of visit and ensure to insert correct passport number during online purchase on Klook. On day of visit, just show passport to the staff at ticketing counter and you'll be able to enter once verified. Save the hassle to queue with crowd to buy tickets. Highly recommended!